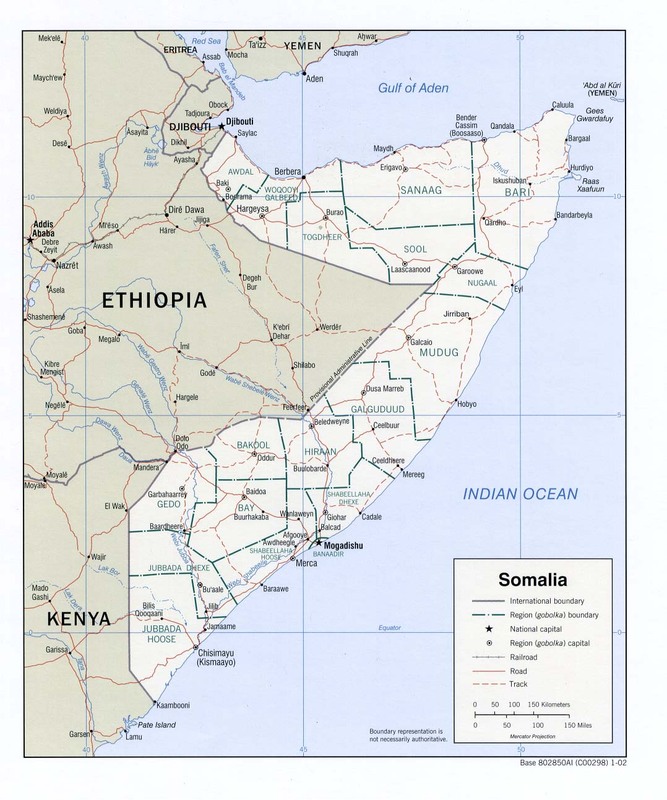 Somalia touches the Gulf of Aden, the Indian Ocean, Kenya, Ethiopia and Djibouti. The Capital of Somalia is Mogadishu (which is also really fun to say). By the way Geospy is also a good way to practice the locations of countries in Africa. To get to the Africa challenge on Geospy you click "Countries Game" then click "Africa".